Most likely that you have already heard this statement. It is broad statement that can mean a lot for your organisation. What is this actually all about ? What bottom line ? 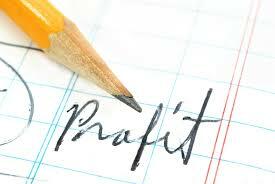 Usually this broad statement means to have a detailed look at the P&L statement of your company and act upon it. It sounds to be very easy , it is not. When looking at this kind of a broad approach you have to go into details in many aspects of your business. Details about Sales (1) , Gross Margin (3) , SG&A (4-6) can be found in previous posts. 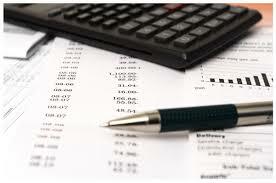 The Cost of Sales concept is quite a tricky one, you must understand what is determining your sales. In other words Cost of Sales consists in all costs that you have to take to have something to sell. You must understand what are the direct cost of your sold product of service. Regardless of what you are selling products or services you have a so called productive part or your organisation. This part is taking care about the production of your products or services. Assessing all the direct costs involved in your sales is quite a challenge, especially when your are talking about the optimization of this costs in order to determine a better outcome as a product or a better result as costs. After you master the concepts (1) – (7) you will have a result of actions of what to do ,TO DO ‘s that will ensure that your 1-st bottom line ( EBIT ) is the best that can be. This first step in knowing what to do is the most easiest one, the second step , the implementation and control of the TO DO’s is most challenging. This 1-st bottom line can be regarded as the prime target of operational managers that are handling the various aspects of your business. Interest is a sensitive topic to be handled by management. Interest is the “reward” that banks and financing institution expect for their financing. If you have financed your business only by own funds / equity than you are off the hook , you only have to pay the last part , the taxes. I hope that in this case you have an high enough yield on the invested own funds. Traditionally the funding by own funds / equity is the most expensive one in comparison to borrowed funds from financing organizations. The best debt ( financing from banks ) / equity ( financing from own funds ) ratio is difficult to find , it depends on a lot of factors like industry, company size, etc. Keep in mind that borrowed financing might be cheaper than equity funding but it is binding regardless of your performance. Taxes belong to the administrator of the markets that you are acting in, the state in its various forms of state authorities. The state makes sure that the market that you are acting in is following certain rules and you have certain guarantees. This is enforced by the state through different laws and law enforcing authorities. So any business that operates in any state back yard ( country markets ) has to pay certain taxes. In this case you have to know the exact rules and regulations that are affection your business in order to optimize the tax burden. After you have considered all the aspects (1)-(9) you have arrived at the remaining part of your efforts , the profit. This is the outcome of your efforts in all above topics. This is the actual “bottom line” that you want to target. Now you have only to consider the last part of your involvement , the dividend policy. The dividend policy becomes essential in the case that you have financing also from other financing organizations , like banks , investment funds , other shareholders ,etc besides yourself. Why is this important ? You want to give also to the other stakeholders some “reward” for using their money, so you can make sure that you still have their commitment to your business financing and that they might grant you also more financing. As you can see a simple statement like “improving the bottom line” can mean a lot of complex work that requires the most effort and professional expertise. Now you have only two options , you can try to cover all by yourself or can get professional help. TopCFO is here to support you and to improve with you your bottom line. Get in touch with us to start your first step towards to bottom line.